In the last ten years, investigators worldwide have focused on the connections between the philosophy of classical figures in American pragmatism (e.g., William James, Charles Peirce, and John Dewey) and the Hispanic world. Pragmatism and the Hispanic World examines the intersection between these two traditions, advancing new and unexplored realms of Western philosophy, and uncovering new relationships. It argues that, with respect to philosophical issues, there are fewer rifts and more affinity than is commonly thought between these two worlds. The book will provide an invaluable source for philosophers and philosophy students, as well as for scholars from other disciplines (e.g., history, political science, sociology, diversity studies, and gender and race studies) to begin understanding the dynamic relationship in thinking between the two Americas. In additional to documenting the results of a new and thriving area of research, it can also function as a primer to direct and provoke further inquiry. The volume is divided into three parts. 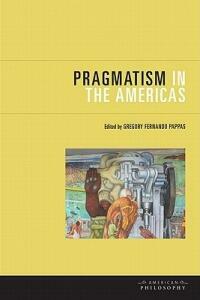 First, the reception of the classical American Pragmatists within the Hispanic world is explored. Some of the essays argue for the inclusion of Hispanic figures in the history of pragmatism and therefore challenge the notion that pragmatism is a philosophy that is exclusively North American. Others put forth pragmatism as a philosophy that can contribute to dealing with the present social, ethical, or political problems experienced by Hispanics in and outside of the United States. These essays, from North American, Spanish, and Latin American scholars, fill a void in the humanities and introduce a number of Hispanic pragmatists, who are not included in standard pragmatists texts. Altogether, the book questions gaps that never existed, building new bridges instead. It pioneers the way for a twenty-first-century dialogue between two great philosophical traditions.